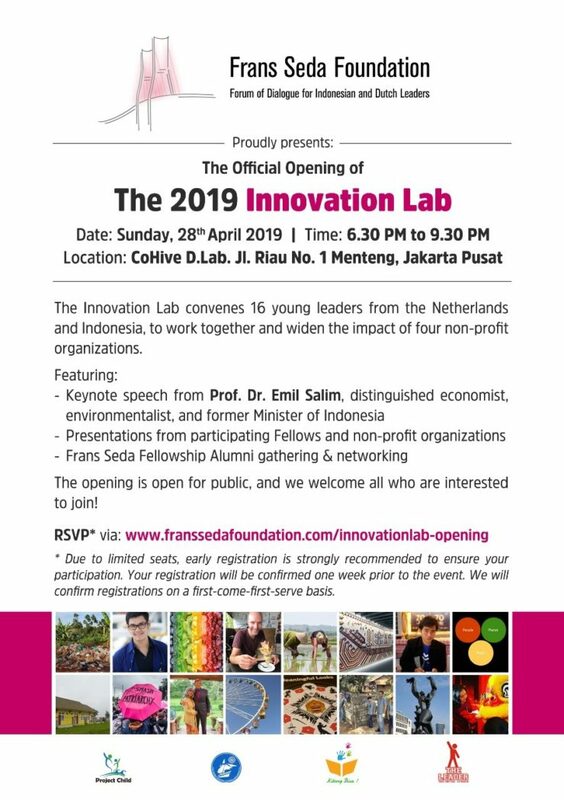 You are invited to join the official opening of the Frans Seda Foundation Innovation Lab on Sunday the 28th of April in Jakarta. The Innovation Lab convenes 16 young leaders from the Netherlands and Indonesia, to work together and widen the impact of four non-profit organizations. Rotterdam: Ayo Semangat: Dutch Fellows prepared for cross-cultural experience in Indonesia! Jakarta: Indonesian Fellows ready for Innovation Lab in Jakarta, Cirebon & Linggarjati! The opening is open for public, and we welcome all who are interested to join!